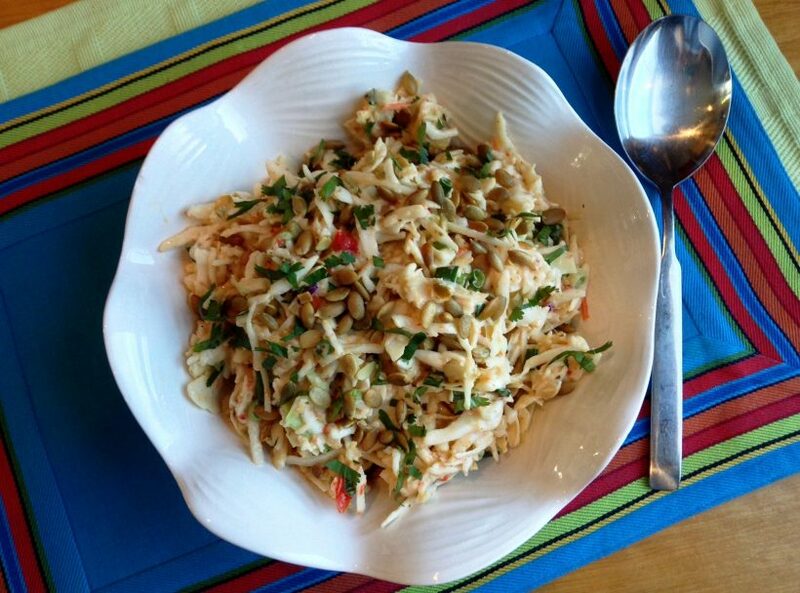 This tangy and bright slaw is excellent with grilled pork, seafood, and Jamaican jerk chicken. Add S&F Mango Pineapple Salsa, mayonnaise and pepper to a large mixing bowl and stir until evenly blended. Add coleslaw mix and scallions, toss well until evenly coated with the dressing. Refrigerate until needed. To serve, stir the slaw and transfer it to a serving bowl. Garnish with pumpkin seeds and cilantro.